How to prevent ransomware attacks? Backup import data, block vulnerable ports such as 445, 443, 83, etc. use a reliable antivirus software, patch Windows vulnerability like MS17-010 and stay away from unsecure websites. Ransomware attack is virtual attack on cyber. In general, hackers create malware and put it on network. Malware gets transferred and get on user computer usually by phishing links, emails and webpages. Once infected victims’ machines, the malicious software locks data up and asks its owners for ransom. Yes, ransomware attack belongs to cybercrime. As netizens and surfing the Internet every day, we cannot avoid attacks from ransomware virus, but there do be some things we can do to prevent ransomware attack and eliminate the chance. How to prevent ransomware infection? To prevent ransomware encryption, first and foremost, we have to build up our awareness of security. Only when we have such thought in mind, are we willing to take further actions to prevent ransomware infection. 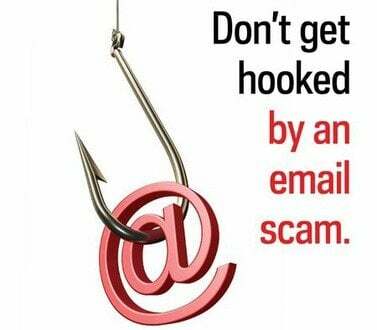 In detail, stay away from unsecure things, such as phishing links, emails and websites. Those ways always grab one of our weakness and carry out attacks. For examples, phishing emails always write something you are interested in and lure readers to do what hackers want them do; dangerous webpages usually declare hard-won benefits to victims. Anyhow, be extremely careful to unusual messages and think twice when you visit an uncommon site. On the other hand, rely on a reliable antivirus software, such as AVG, Avast, McAfee and Norton, to scan your computer in schedule. It can detect ransomware if there is and may kill ransomware before it infects your files. How to prevent ransomware virus? Backup crucial data is always a good choice. Most cyber-attacks are aimed at user data and the great loss of most spyware hijacking is data loss. Thus, give your important data an insurance is of great importance. To backup data, pick up a reliable program is also of great importance. A professional and secure one is always popular. Here, AOMEI Backupper Free for ransomware is recommended to you. 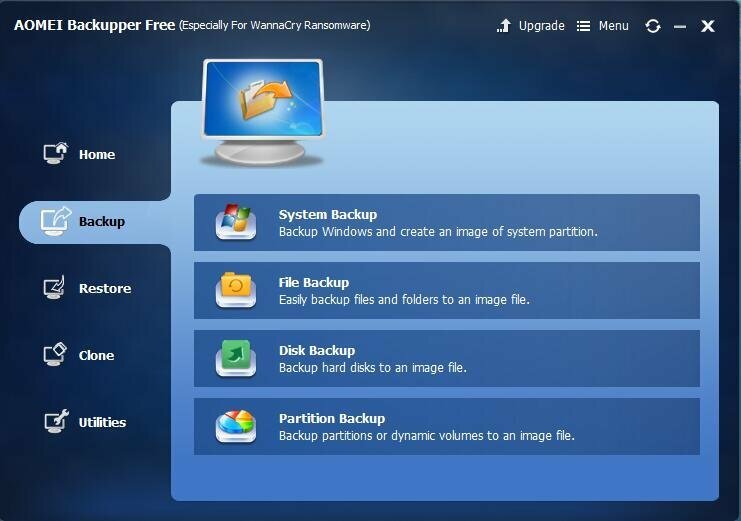 With it, you can choose what to backup (system, file, disk or partition) by yourself. With its intuitive and clear interface, you can easily finish your task in few steps. How to prevent ransomware encryption? Anyhow, your computer is ran by your operating system. Therefore, to strengthen your OS is also a way to prevent ransomware attacks. On the one hand, block the ports which are vulnerable to malware attack. For instance, the recently WannaCry ransomware gets victims’ computers is just through attacking port 445. On the one hand, patch System vulnerability immediately when your antivirus software detects that there is one. Most WannaCrypt victims are Windows users who don’t patch MS17-010 vulnerability. What a pity! On another hand, keep system up to date. 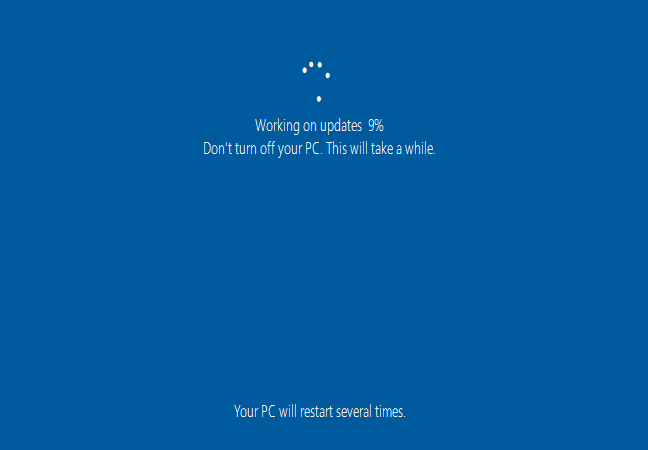 It is said that users who installed Windows update released by Microsoft several months ago escaped from WannaDecryptor’s attack. I used to be one of the traditional computer users who do not want to change, any change including install new updates of programs, use another easier email server, find a new game to play, etc. We find all these things troublesome and just are reluctant to change. However, when WannaCry spreading out, I did all things above just afraid of been attacked. I not only installed the latest updates of my Windows 10, but also enabled Windows update which was blocked by me. 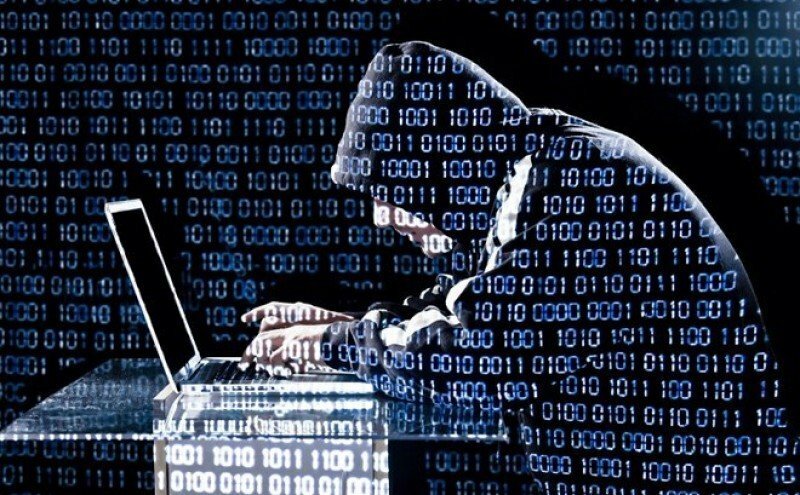 Have experienced from the attack of ransomware WannaCry, I got one thing left in my head – never contempt a security problem while using computer surfing the Internet; and always keep “how to prevent ransomware attacks" in mind.